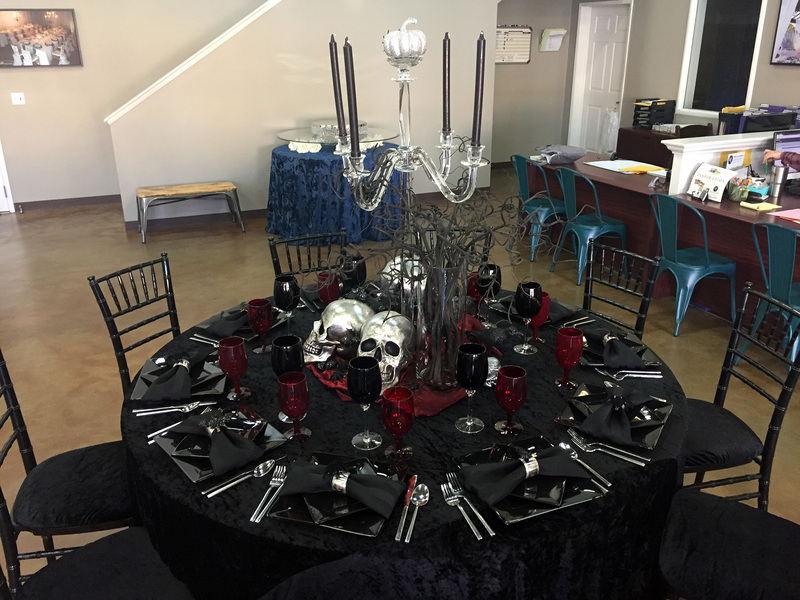 Invite your guests over for a dramatic dining experience this Halloween! 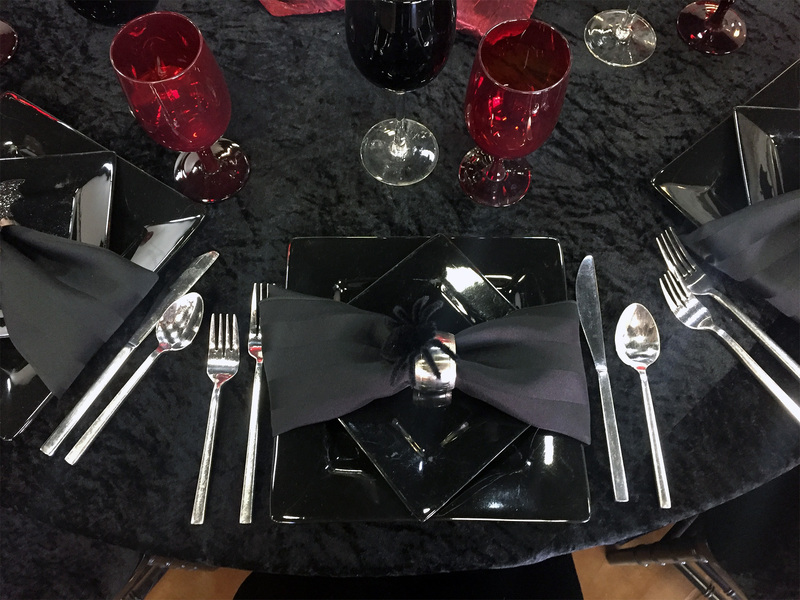 This design includes velvet black linens and seat covers for the black chiavari chairs. The sharp black dinner and salad plates from our Roma collection only add to the mysterious feeling. Give them a touch of color with red accents found in our glassware and other accessories. 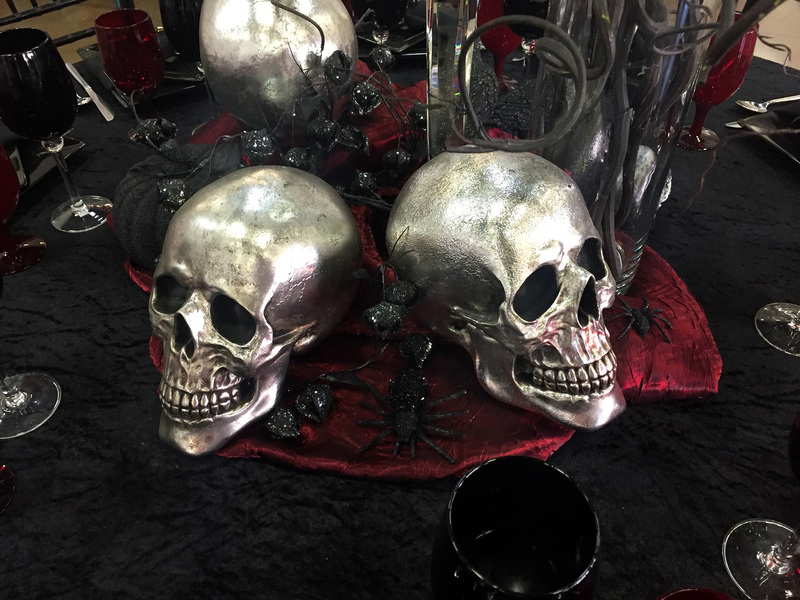 Your friends and family will get be impressed, all you need to decide is what pairs well with scary luxury!